That’s how the book begins. He’s right. Getting stuck on a planet all by yourself is bad enough. And then there’s the complete lack of communication. And the fact that a rescue mission will not happen till another four years. Welcome to Mars! Reviewing this book is easy: You’ve got to read it! Take time off work, cancel Netflix for a month; do whatever it takes, read it! I’ll clear it upfront: I’m late on the bandwagon. The Martian was a New York Times bestseller in 2014, and is now a Ridley Scott movie starring Matt Damon! But anyways, here goes the review. The Martian is a very easy read. Thanks to the fact that most of the books consists of log entries by the stranded astronaut Mark Watney. The first person monologues really help reader get into Watney’s shoes (or space suit). The epic battle for survival on a hostile planet is captured very well by the technical details of the solutions as well as the (high level) math behind them. Wait a minute – technical details? Math?? Yes, since the book is ‘hard’ (no time travel, infinite-fuel engines etc) Science Fiction, the author takes very few liberties with the technical aspects of the story. Does it feel a little daunting at times? Maybe. Does it make you stop turning the pages like a maniac? Nope! Which brings us to the non-technical aspect of the book. There are only a handful of characters; no romantic or familial relationships, or other emotional aspects in the story. Okay, maybe some, but not much. And yet that doesn’t get in the way of making the reader root, pine and even pray for the protagonist. How? Probably due to the super-focused motive of the protagonist: survival. That’s it. Survival on a hostile planet, facing new challenges one after the other. Survival – the most natural thing for any life form. And the book is really funny! Given the circumstances the protagonist is in, it is hard to imagine how story could do well on the humor front; but trust me, you’ll get quite a few laughs out of it. Mark Watney’s wit, sarcasm, and outright insane thoughts make for some incredible moments in the midst of a seemingly hopeless situation. Finishing the book felt very satisfying. In a world filled with stories having complex plots, an increasing number of of gray characters, hidden motives, political/philosophical undertones, The Martian was a refreshing change. It was like an intense rollercoaster where you know the ride is going to end safely (most probably), but the experience is going to be to be epic and scary. NASA has a big role to play in the story, as you can probably imagine. They seem to be glad that the book has revived public interest in manned space missions. And that it would, in turn, prompt the US Congress to increase NASA’s declining budget. The amount of research the author, Andy Weir, has put into space programs is clearly visible. Hell, the (former) software engineer wrote a program to help him calculate the space trajectories accurately! The technical details of Watney’s ingenious solutions are very satisfying. They’re just the right amount – enough to satisfy hard Sci-Fi readers and yet not so much that the average Joe will be turned off. As I was reading the book at 39,000 feet, I was imagining how it could be adapted into a movie. The mild turbulence and the background score of Interstellar playing in my mind added a new dimension to the reading experience. Upon landing, I checked on the Internet to discover that not only had a movie been planned, it has already finished production and is releasing in November! Also, potatoes are the best! 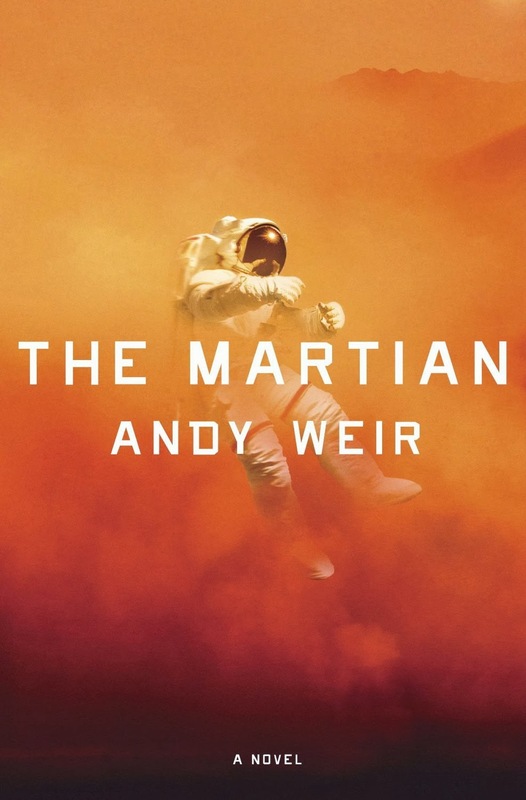 This is Andy Weir’s first novel, but not his first published story. He has written a popular short story called ‘The Egg‘ prior to this one. He has a very active Facebook presence, and has also done a Reddit AMA. The Martian was actually a free story offered by Andy on his website. Due to its rising popularity and the demand by readers to have it in an ebook form, he put it up on Amazon as a Kindle eBook for $0.99 (the lowest price an author can set on Amazon). This is the second, successful author I have read in recent times who started out as a self-published one; the other being Michael J. Sullivan (link to that review). Go. Read. It. Now! It’s not by accident that this book is a New York Times bestseller and a Goodreads Choice Award winner. This was my first hard Sci-Fi book, and I’m definitely reading more of this genre. Any recommendations? Then I started following the movie buzz. My initial feelings on Matt Damon being cast as Mark Watney were mixed. Especially after seeing him play an astronaut in Interstellar. But after watching the trailer and other promotional material, I’m sold.